This is a premium, enclosure netting to be attached onto the front of 12' round trampoline pad. 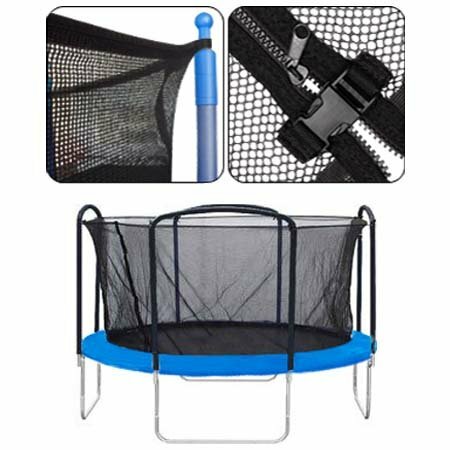 It is able to totally enclose the kids, teens or adults and provides protection against bouncing out of the mat and in contact with the frames. If you have any questions about this product by LeeMas Inc, contact us by completing and submitting the form below. If you are looking for a specif part number, please include it with your message.